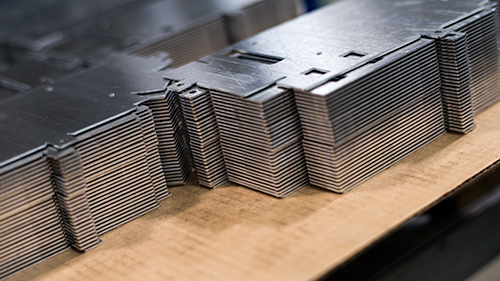 Our thin and thick turret tooling inventory allow customers a wide range of choices without having to purchase special shapes or sizes. Materials such as Stainless Steel, Cold Rolled Steel, Aluminum and Copper in a variety of gage thickness are an everyday occurrence. 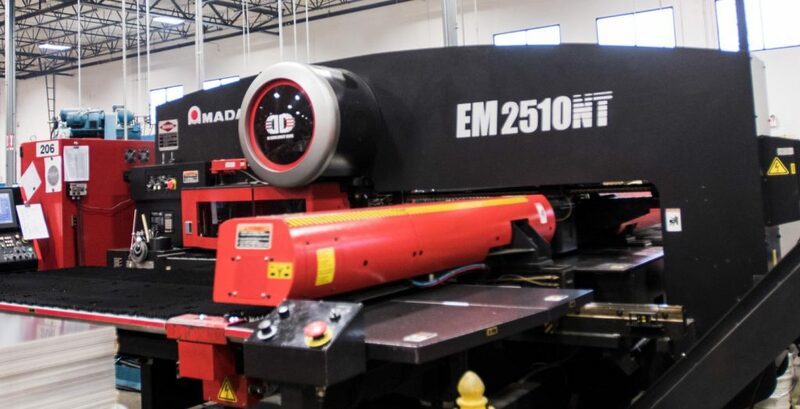 Feature machines are (2) Thick turret CNC Amada EM2510NT (22 Ton-58 Station) machines. Thin and thick turret tooling inventory allow customers a wide range of choices without having to purchase special shapes or sizes. Materials such as Stainless Steel, Cold Rolled Steel, Aluminum and Copper in a variety of gage thickness are an everyday occurrence. (2) Thick turret CNC Amada EM2510NT (22 Ton-58 Station) machines.